The critical consensus on Darren Aronofsky’s big-budget, epic passion project seems to deem it an “interesting mess.” To me, Noah is neither. The film is actually quite cogent narratively, if a bit unpredictable, and it’s too bloated and oppressive to be very interesting. Aronofsky has injected the biblical story with darkly psychological undercurrents involving faith, duty and the questionable morality of mankind, but all of this is drowned beneath uninspired CGI and familiar production design. 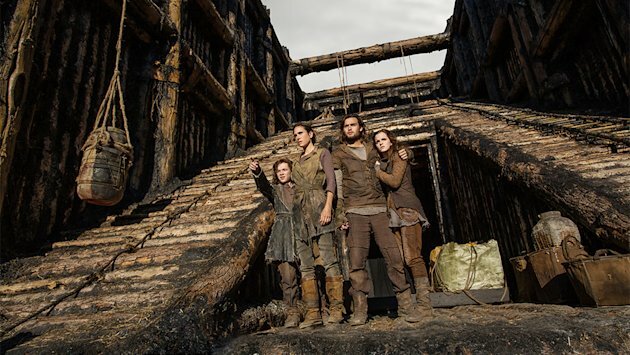 Fantasy and historical films since Peter Jackson’s Lord of the Rings trilogy have struggled to free themselves from its influence, and Noah is no exception. There’s something about the grey tones, natural landscapes and heavy, wooden sets of these films that just becomes a lazy shorthand for “old.” It’s particularly disappointing that a film from a director with as much personality as Aronofsky should feel this flat and belabored. Too often, Noah feels like dress-up. And yet there is something off-kilter and unexpected about the spirit of this adaptation. Noah is probably not the comforting confirmation of faith that religious groups will look for: its principle drama stems from a man’s struggle to accept that his race is inherently sinful, and the film’s tone is correspondingly dark. It’s here where the film feels most like Aronofsky’s, in a few nightmarish visions and insidious implications of violence. Battles with rock monsters brandishing clubs, however, feel more like The Clash of the Titans or 300 than a serious reckoning with elemental human drama, and Noah ultimately drifts far too far in the direction of the bland and boring historical blockbuster. Maybe working with a major studio sapped Aronfosky’s creativity, but it seems that his vision for this grand spectacle was questionable from the start. Noah would have been be much more unsettling, much more tactile and much more interesting on a fraction of the budget.